I began my career in the mortgage industry in 1988 with Citizens National Mortgage, one of the largest mortgage lenders in Southern California at the time. By 1995 I began serving my clientele at a much higher level by providing real estate and mortgage financing services. In 2003 I branched out and opened up my own company United Realty and Mortgages Inc. in Vista, CA where the company specializes in Real Estate and Home Mortgages serving all of the North San Diego County cities. 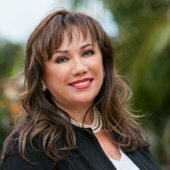 I have been recognized by the Oceanside Chamber of Commerce as being in the Top 1% Best of The Best Annual Top Producer Award and as seen on inman.com also received an award for being in the Top 250 Latino Real Estate Agent across the country. I was born in Guadalajara Mexico, came to the USA with my parents when I was 12 yrs old. My visa expired so I would of been considered part of the dreamers. My son that was born in the United States sponsored me when he became of age. Because of my experiences, education and desire to help people, the real estate venue has provided a platform for me to utilize my talents, experience and strengths. I have continuously sought out the education needed to better assist my clients. I have focused on surrounding myself with highly skilled team members and associates in all phases of the businesses I have been involved in and I have become a valuable resource not only to my clients but to other agents in the business as well. I have previously been in the top 250 with NAHREP 4 yrs and have been attending NAHREP events for about 10 yrs. I am now North County San Diego chapter president and I feel this has been a great accomplishment, and will do my best to support NAHREP's mission. Patty was an amazing realtor, and invaluable to our home selling process! After dealing with a different company for several months, without even one written offer, despite multiple price drops, we switched to United Realty & Loans. Patty was able to get us multiple offers after only one open house, and our house closed the same month we hired her. You will not find a better or more professional realtor around! Patty obviously knows her stuff! She made the whole process of buying our home (my first home, in fact) extremely simple and easy! I had a million questions and concerns and patty was there to answer them all. From the great interest rate she got me on the loan, all the way to the patience she exhibited in finding my dream home, I can honestly say that Patty was a consummate professional in all aspects. She even convinced me to walk away from a home I was in love with, after uncovering some hidden (and serious) issues with the foundation that the seller was being less than truthful about. The fact that she was more interested in finding me the right home, as opposed to just making the sale (and commission), was proof positive that I had made the right choice when I chose Patty! Thank you, Patty! I love my new home!! !